Both Arish Nat (above) and Tom Emerson are at 115,000 as Level 12 starts in Day 1B of the $300,000 Guaranteed $365 WSOP Circuit Event 1. Emerson has run his stack up by siphoning chips from onetime chipleader Ken Jorgensen, who has slipped back to about 80,000. 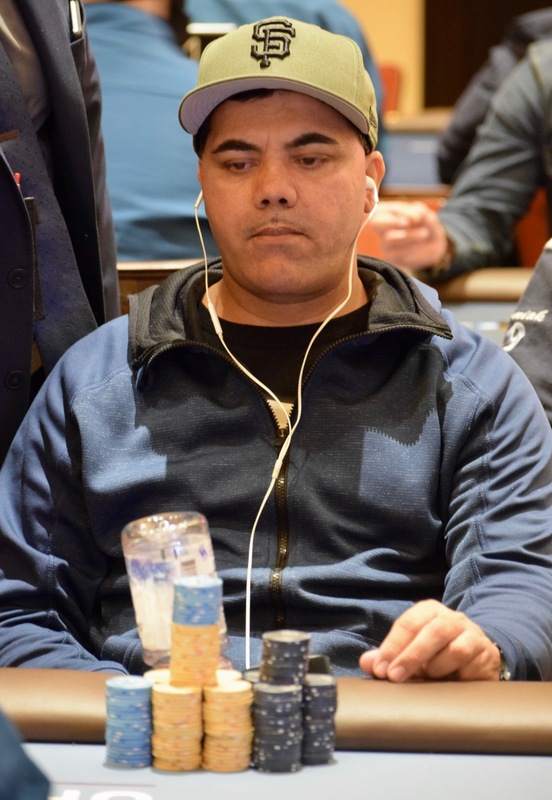 Hieu Le is up to 85,000; Mo Safapour at 75,000; Mitch Gamble at 65,000; Jed Hoffman at 40,000 and Sasha Sabbaghian has 25,000 as we take a look across the three remaining tablesd.